In an effort to steward resources, CFA Foundation (CFAF) has adopted the following policy for the distribution of our 2018 Voters’ Guide. 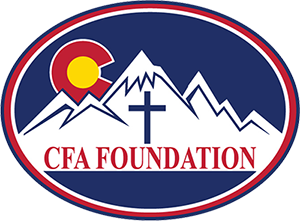 As printed guides are more expensive to produce and internet use is more prolific, CFA Foundation will be printing a limited number of guides this year and will provide a downloadable version of the guide for self-printing if you so desire at coloradovotersguide.org. Please contact us at: voterguide@cofamily.org to request copies for your church. We will also provide downloadable fliers to promote the coloradovotersguide.org website where voters can download their own pdf version of the entire guide. Can print copies of the guide from the website at their own cost as long as the guide is printed in its entirety. May not serve as CFAF’s representative to distribute CFAF Voters’ Guide to churches and other locations.